Restore a Backup iChart Project File - NexSens Technology Inc.
Each time and iChart project (.icr) file is saved or closed, a backup copy is saved. If the .icr file is inadvertently deleted or corrupted, the project may be recovered by restoring a backup copy of the .icr file. 1. Navigate to the iChart Users folder by clicking Help | Open Users Folder. 2. Navigate to the backup folder for the project file in question. It will have the format ProjectName.Backup. 3. Find the folder created on the most recent date prior to the corruption. 4. 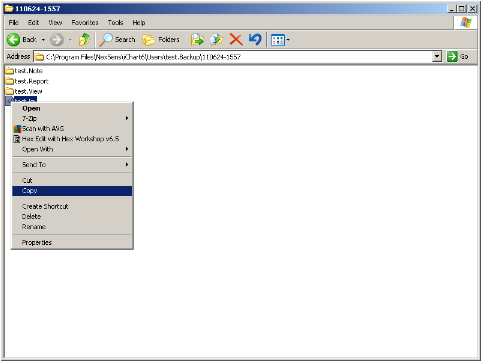 Open this folder and right click on the ProjectName.icr file. 6. Navigate back to the Users folder. 7. Right click on a blank space and select Paste. 8. 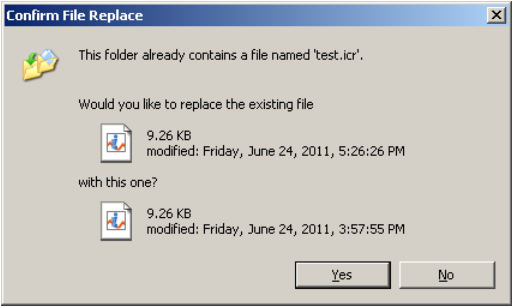 If prompted to overwrite an existing file select Yes. 9. 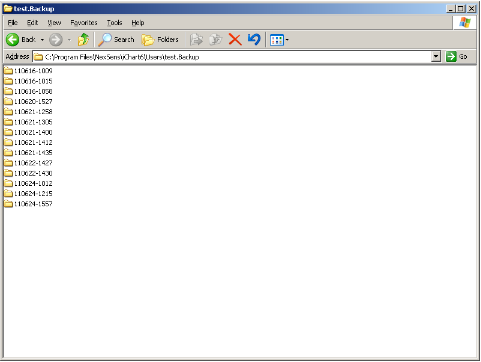 Go to File | Open Project and open the recently copied .icr file. 10. 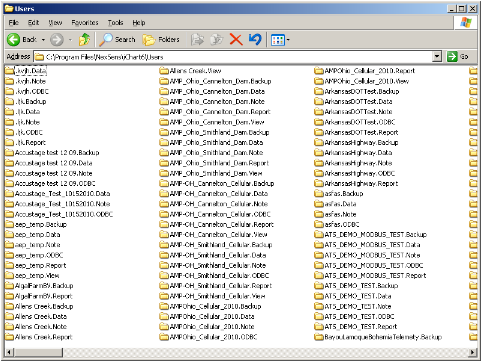 If the backup file is still corrupted, repeat steps 1-9 to find the most recent uncorrupted file.